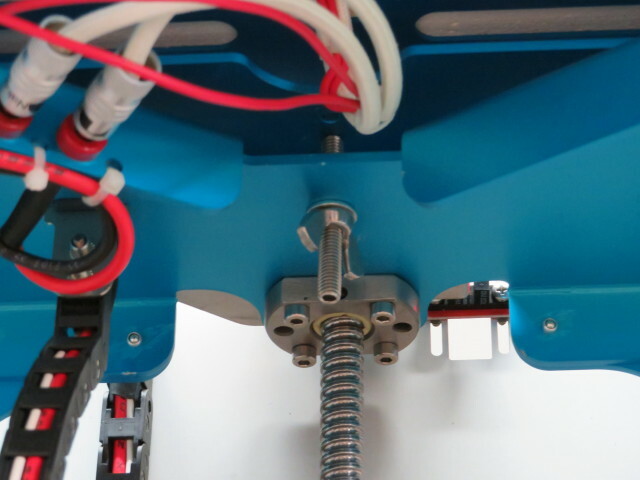 To make the print bed level towards the extruders use the (3) 50x6mm grub screws with a 3mm alan-key. 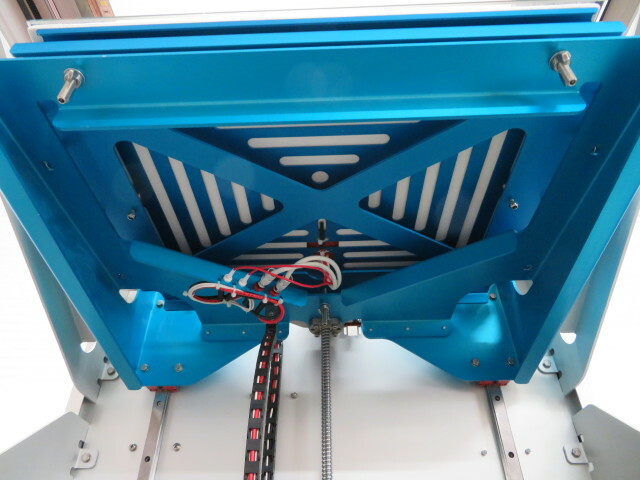 Once the print bed is levelled, secure the grub screws with the wing counter-nuts. Adjusted and secured back center levelling grub screw with secured wing counter-nut. 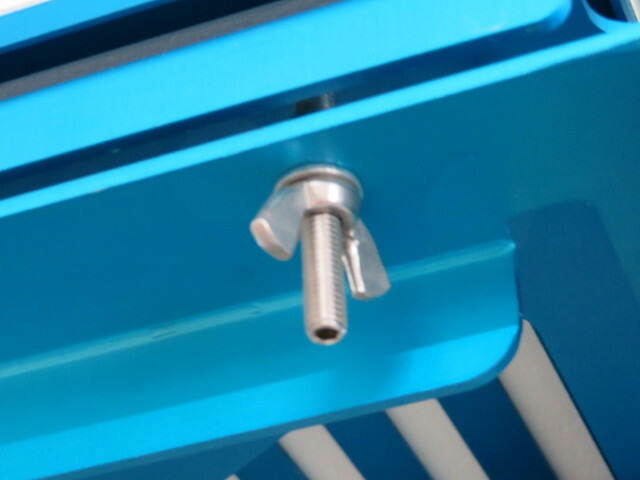 Adjusted and secured front right levelling grub screw with secured wing counter-nut. 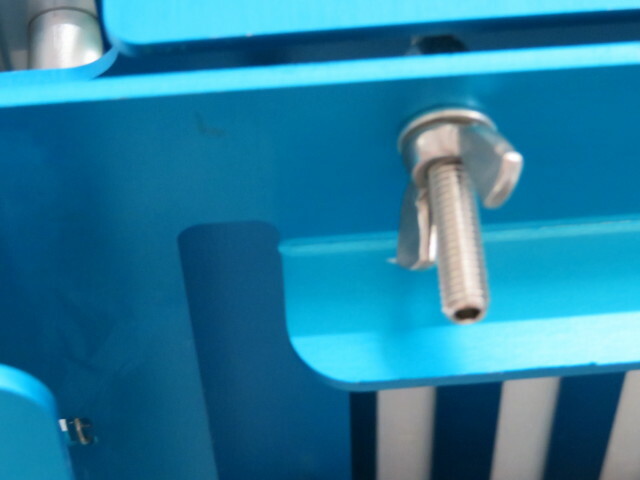 Adjusted and secured front left levelling grub screw with secured wing counter-nut.